I could spend hours looking at all of the invites and stationery on Minted, and I am delighted to find out that they have expanded their offerings to now include a line of art prints. 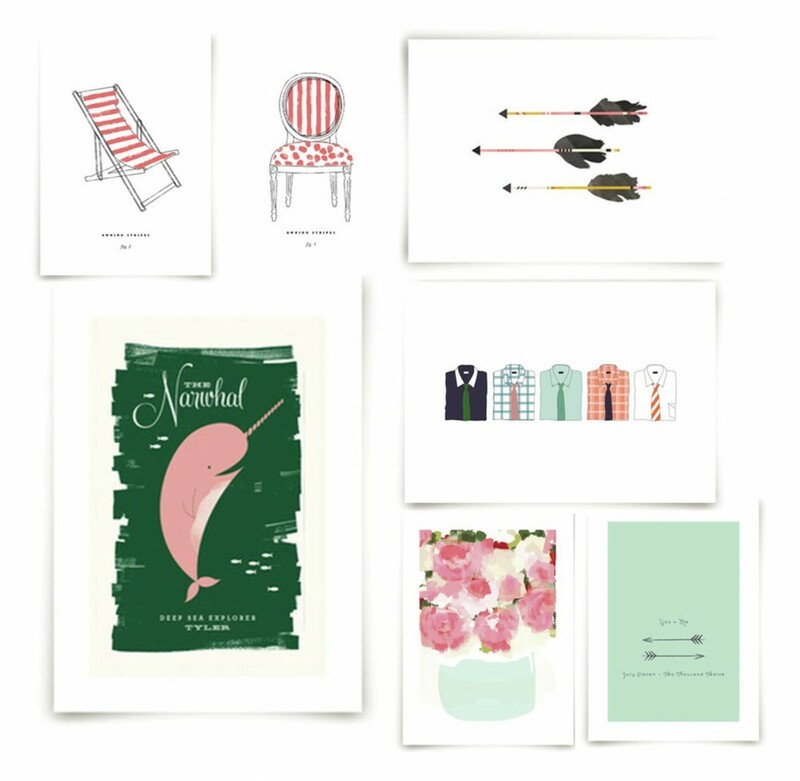 I’m making a little wish list of the prints I want to collect for my apartment — the striped chairs might be my favorite! Which would you choose? Red, white, and bubbly. Summer Entertaining Essentials with Chevrons and Stripes. 3 Responses to "Minted prints." I LOVE the narwhal one!